« Tuesdays on the Run: Fall Races! 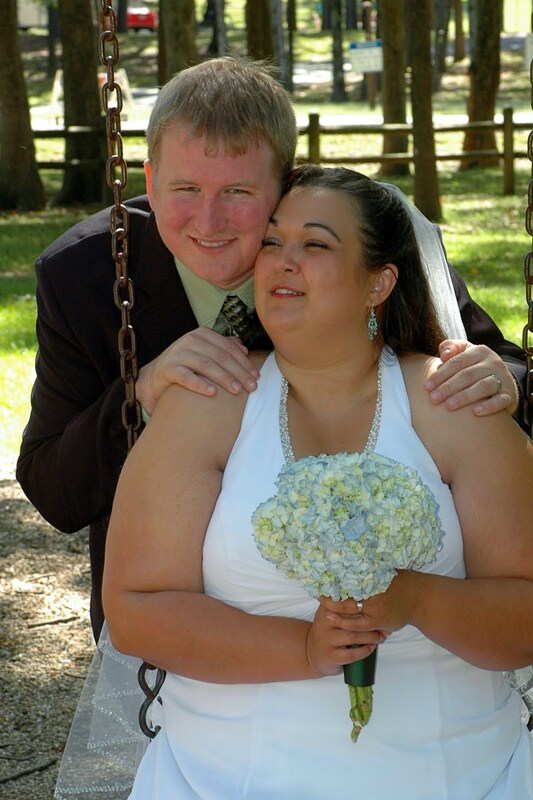 Weighing less than my husband: This one was HUGE for me. When Darrell and I met, I outweighed him by 40 pounds (I’d guess – we never compared numbers). I literally danced on the scale the day I realized I weighed less than he did. Weighing less than the number on my drivers license: We all lie a little there, right? I think mine said I weighed 250 pounds, which was 30-40 pounds below my actual weight. No one questioned it because people have a hard time envisioning exactly what that number should look like in a human being. 🙂 I noticed I’d slipped down below that number one day when I’d pulled out my ID to buy a drink. 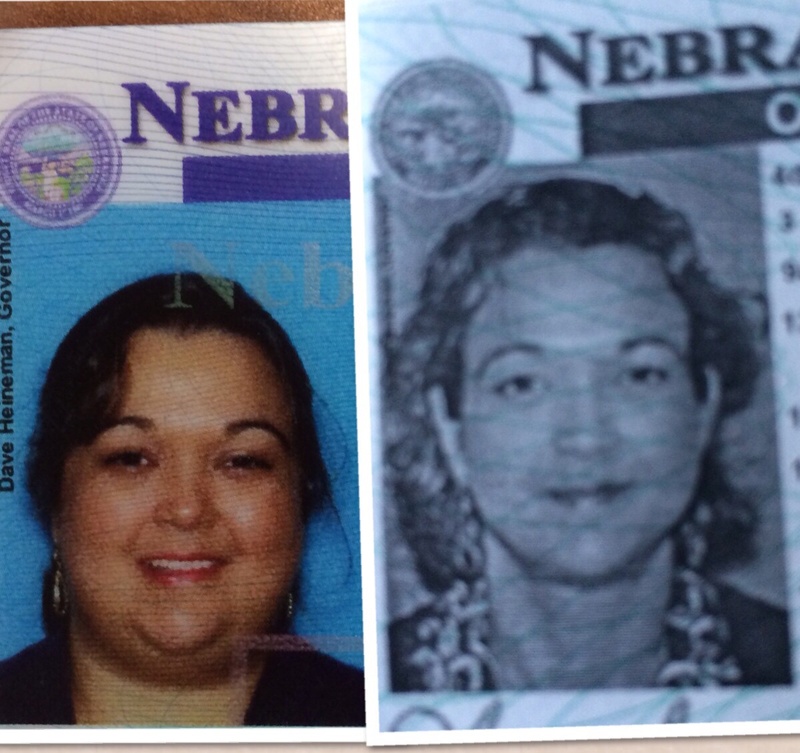 In Nebraska, we get temporary paper licenses initially, which are just a little weird. Buying non-plus size clothes: I still feel a little sorry for the people waiting to use the fitting room that day at Target because I spent easily ten minutes just marveling at the fact that I was wearing a pair on non-plus size pants. I was more excited than tearful on this occasional – I got tearful when I realized I could fit in a size 6 (a generous size 6) dress. That day in Target, I just got giddy. People who haven’t needed plus size clothes have no real idea how limiting it can be from a shopping perspective! You can’t really go shopping with your girlfriends because odds are slim you’re going to a find a store with sizes for all of you. I got really good at trying on shoes and jewelry. 🙂 You’re going to have to seek out a special section of the store or worse go to plus size clothing stores that seem to actually hate fat women given how unflattering and expensive the clothes there are. Yes, I apparently still have issues with plus size clothes. Realizing I could shop anywhere was a huge milestone! One-der-land: Getting to that 1XX number on the scale is a big deal for most people over 200 pounds. I hit it at my last weigh in of 2012 and still remember feeling like I’d finally DONE it, that I was really going to be done being a “fat girl” at some point, even if I wasn’t quite there yet. There were countless little milestones along the way of course, from the first time I had a loss and realized that Weight Watchers actually worked to the first time I had to buy new clothes because my size 22s were too big to the day I noticed my clavicles, but these were definitely my biggest-celebration moments. Part of what is hardest about maintenance is that I don’t get as many of these big “aha!” moments. I suppose that in itself is its own “aha” moment. At two years of maintenance, it’s going to be a lot of little victories from here on out and that’s more than okay. I realized at the doctor’s office last week that I’ve really reached a point where my weight is no longer an issue in my medical concerns. I could definitely never say that before. While I don’t get as many of these big milestones anymore, I do still love hearing about them from others. 🙂 Congrats to Christine at LoveYourselfHealthy for getting to the drivers license milestone this week! What were your big “aha” moments? Love this milestone post! Lots to celebrate as we improve our health! All are awesome milestones! I can imagine that day in the Target dressing room. Clothes are such a tangible way to see progress, and it can be just exhilarating to get into new sizes. I am shocked though that your state requires listing your weight in your driver’s license! Ours don’t here in PA and I never knew other states did. I can see how getting below that weight would be a huge milestone. Congrats on maintaining for so long! Way to go Pennsylvania! I think it’s been on all of my DL so far and that covers 4 states. I’ve always found it silly because weight changes so much over time. I’m a little behind in my reading this week–thanks for that shout out! 🙂 I got really good at shopping for purses and jewelry with my friends, lol–shoes, not so much, thanks to my yacht-sized feet 😀 I don’t think I mentioned this before, but my DL weight was also at 250 (after I finally bumped it up from 175), which was also a good 30-40 lbs below my actual weight. Awesome post!